Are You Staying in Your Home Longer Than Expected? How About an Upgrade? According to an article in Forbes.com, home improvement projects are on the rise in 2013. The article sites research conducted by Houzz.com in which 100,000 people responded to a survey regarding home improvements. The research indicated a 12% increase in planned decorating and redecorating projects from last year and 7% decrease in respondents delaying home remodeling projects since last year. There is a trend toward people living in their homes longer, rather than moving in and out within a few years. This is resulting in greater resources put toward fixing up and improving existing houses, and accounts for the increase in home projects this year. This map shows the top markets for homeowners who plan to do some sort of home remodeling or custom home build in the next 2 years. As you can see, our area of Washington DC is the highest in the nation (tying with San Diego). This means that homeowners in the Washington Metropolitan area are very interested in and motivated to improve their homes. Kitchens and bathrooms are still the number one area of the house to get an upgrade. Of all the home upgrade professionals, such as contractors for windows, floors, countertops, etc., General Contractors are the ones most sought after. The survey conducted by Houzz also indicated that 58% of homeowners agree that now is a good time to renovate your house. This, among other indicators, suggests that consumer confidence is increasing. The Commerce Department data shows that single family home construction is at the highest level it has been in 4.5 years – another sign the economy is on the upswing. Now that the summer season is in full swing, you may be wondering what types of projects are the most common, and possibly consider doing some upgrades to your own home. We get a lot of requests to build and remodel decks as well as screen in porches for maximum outdoor enjoyment. You may also consider installing new windows and storm doors during this time of potential storms, which are often quite serious and damaging in this area. Summer is the perfect time to start planning large construction and re-design projects since you don’t have to worry about snow and freezing weather. With home improvement projects on the rise, the economy picking up, and homeowners living in their houses longer, now is the time to consider making some improvements to your home. At Rendon Remodeling & Design, we specialize in all types of home improvements, reconstruction, and upgrades. We have been serving the Northern Virginia area for almost 30 years, with hundreds of happy homeowners as clients. 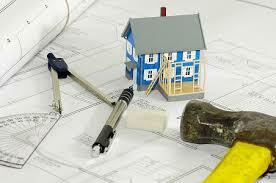 Contact us for an estimate on your next home improvement project.